The Mediterranean home at 1933 Westholme Ave., LA CA 90025 lasted 12 days on the market before receiving an accepted offer on 11/10/09. 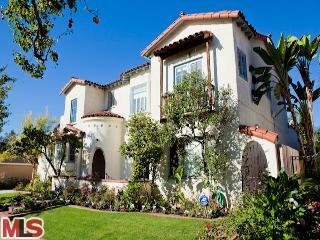 The home was listed on 10/22/09 for $1,595,000 and closed on 12/16/09 for $1,640,000. This sales price was $40k higher than the previous purchase back in the beginning of 2007. However, the current homeowners did spend money in upgrades...ie; kitch & bath remodel es. According to the MLS, the home is a 4 bedroom / 3.5 bath, 3,100 sq ft of living space on a 5,052 sq ft lot.